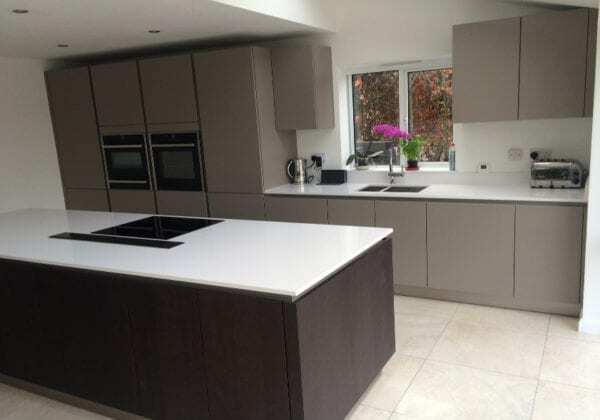 From our Next125 range Holly chose Truffle brown matt lacquer finish for her units combined with ‘White storm’ 20 mm Silestone worktops. The wall units are 750 mm high and have built in LED lights. We are very pleased with the kitchen and appreciate the great service we got from KDCUK at all stages of the process.